Here in Farmersgirl's Kitchen, there is always lots going on. Exciting parcels have been arriving daily full of interesting products for me to review, here are some I'd like to share with you today. 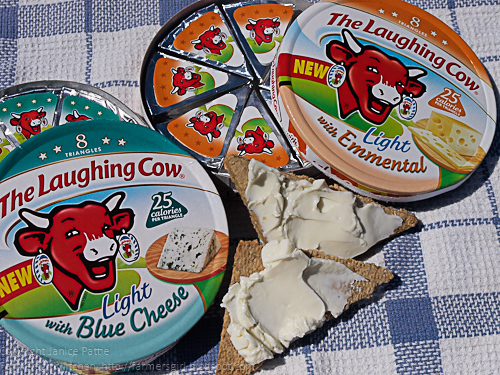 There are two new varieties of Laughing Cow Cheese: The Laughing Cow Light with Emmental and The Laughing Cow Light with Blue Cheese. I can't remember the last time I bought cheese spread triangles, not since my boys were little. However, I was pleasantly surprised by the flavour of these Laughing Cow cheese spreads. The Emmental had a proper Emmental flavour, a more grown up flavour than the usual 'sweet' cheese spreads. The Blue Cheese doesn't have any blue colour or streaking, but it certainly does taste 'blue' which is good for me as I like blue cheese, it is a mild blue flavour though. I like the packaging of these cheeses too, little strings help you open the boxes and tape tabs make the opening of the triangles easy too. Added to this these cheese portions are only 25 calories each, I was impressed as there was no artificial flavour about them. Definitely worth a try. The Laughing Cow Light with Emmental and The Laughing Cow Light with Blue Cheese retail at around £1.25 per box of 8 portions. It must be the season for cheese portions, as I also have some Boursin cheese portions to review. I've tried both of these varieties of Boursin before and they are totally delicious. 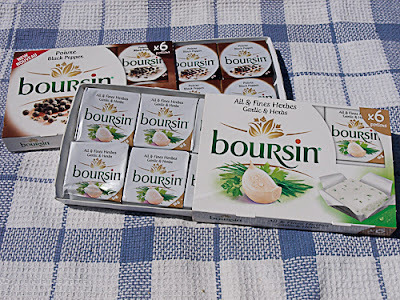 The difference here is that Boursin have brought their cheeses out in individually wrapped portions. I have to say that this is a brilliant idea. The larger round packs always end up really messy and there is just the right amount of cheese in each portion to spread on an average slice of bread or two smaller biscuits. 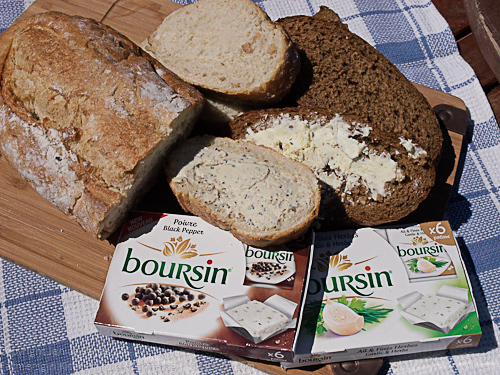 The Boursin with Black Pepper packs a real peppery punch and the Garlic and Herb does not disappoint with a full flavour hit of garlic and herbs. I even dropped one of the Boursin Garlic and Herbs portions into my pasta sauce to produce a real boost to the flavour and a lovely creaminess. These would be ideal for picnics or packed lunches, as long as you don't have an important meeting after eating the garlic cheese! Boursin cheese portions retail at around £1.65 for 6 portions. 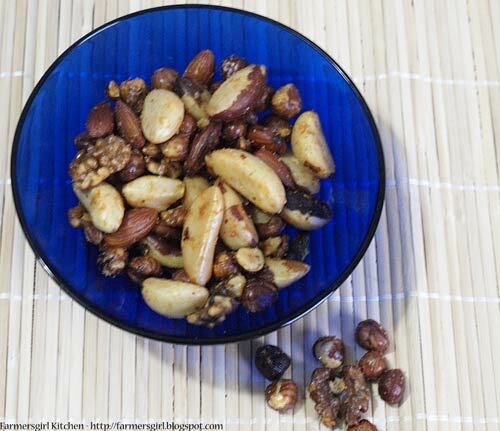 Sweet: Subdued but intense taste, ideal to be introduced to and discover our fantastic product. It is thought for all those people who do not like the strong taste of pepper, and highly recommended to be used in fish, soups and rice dishes. It will add a special something to your dishes. Variety used: Bola and Jaranda. Chorizo. We recommend its use in sauces and marinades for meat. Variety used: Jaranda and Jariza. Hot: If you like hot spices, this is the most suitable variety for you. It is ideal to give a brave and exotic touch to your dishes. Using just a little enough. 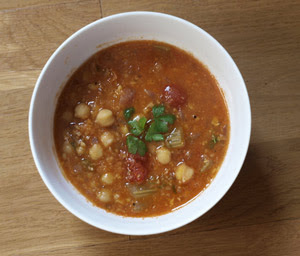 We recommend its use for any recipe that could use a spicy touch. The La Chinata website provides recipes and inspiration for cooking with Pimenton. 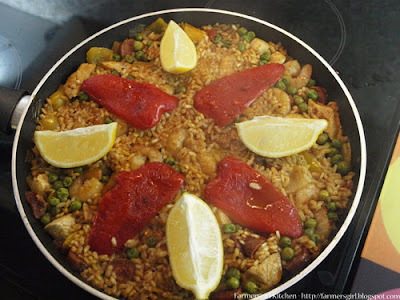 I wouldn't be without it in my store cupboard, it's a little bit Spanish Sunshine in your cooking. 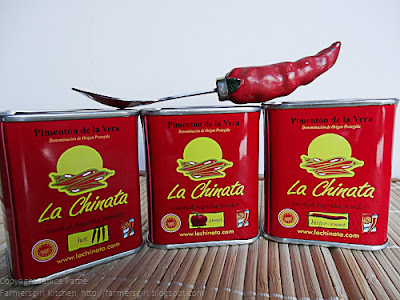 La Chinata Smoked Paprika retails at around £2.75 per tin which is a real bargain given how long this spice lasts. I received samples of the products to review. I was not paid for this review and all views are my own. oooh, you're a tripple threat tonight!... 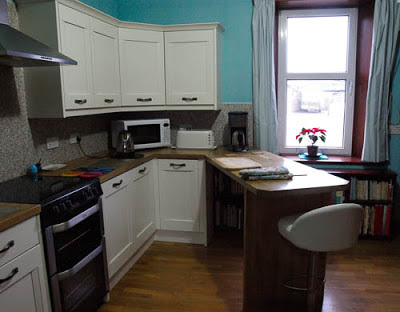 love your kitchen too but that gorgeous risotto thingy looks divine!